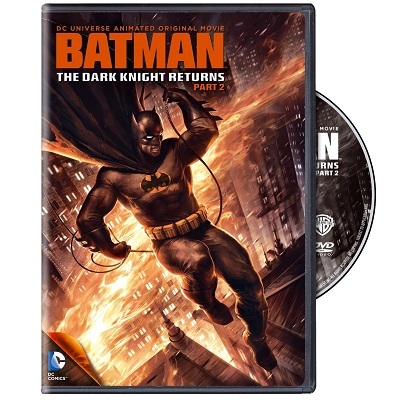 The Dark Knight Returns – Part 2 was released today. If you don’t remember from Part 1, Batman is 55 years old. He has come out of retirement after 8 years to cleanup Gotham. We saw him take out the Mutant gang and hire a new Robin sidekick, Carrie Kelley. Then we see the up-rise of the “Sons of Batman”, who are ex-mutants who start following Batman. We are joined by an aged Joker in a Arkham Asylum. While watching TV, he notices many people in Gotham are up in arms because of Batman, and the Sons of Batman. It seems they’re take on crime is very harsh. The “Sons” are stopping criminals by beating them down or killing them. Also, Commissioner Gordon has retired. The new Commissioner, Ellen Yindel’s first job is to stop Batman from his vigilantly ways. The Joker see this, so he talks to his psychiatrist in Arkham to get him signed on to be a guest on a “David Letterman” type show. They agreed as long as the psychiatrist comes as a chaperone. At the Late-Night Talk show appearance, Police presence is very heavy. 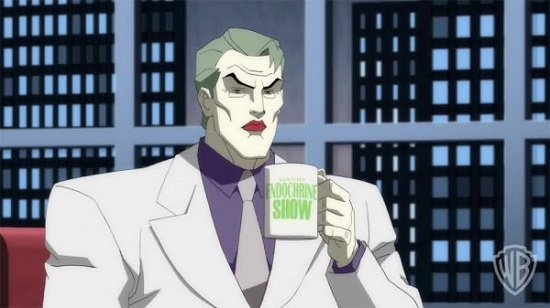 Yindel has the whole place surrounded, not only because the Joker is appearing there, but because they fear the Batman is going to try to break into the studio. Batman lands on the roof, and tries to fight his way into the building. But, there are several cops in his way. They are successful at keeping him out. But, it didn’t matter. The Joker made his appearance, and killed everyone in the audience. And now, he’s on the loose. 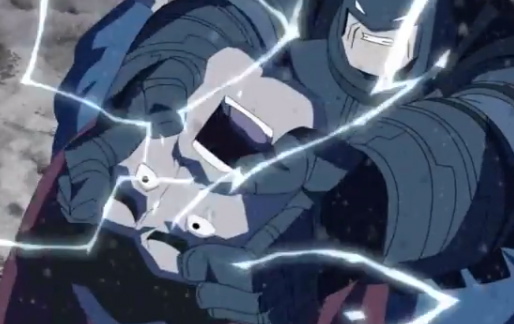 Batman had no choice but to beat up a few cops in order to try to get into the studio. Unfortunately, this looked very bad in peoples eyes. The president (Ronald Reagan) sent Superman to Gotham to reason with Batman. He told him to get Batman to stop his unlawful actions. Superman agreed and flew into Gotham. Bruce was not very happy to see Clark. Bruce’s first reaction to Clark was “We’ll talk later”. 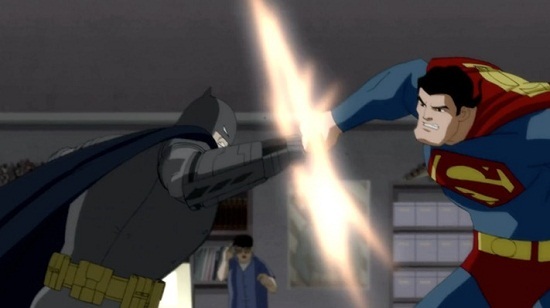 So, the Joker is on the Lose, Superman is trying to stop Batman. Oh, and did I mention the Russians are threatening the US with a Nuclear strike? This is one of those movies where you definitely have to see part 1 first before you see the second one. This is probably my favorite animated comic book adaptation I’ve ever seen. The story is so great & the animation works perfectly. You can see in so many places where Christopher Nolan “lifted” things for his Dark Knight trilogy. Some people may think, this is a cartoon, it can’t been that good. Believe me, this movie is very adult, and I highly recommend it!